with a custom Magento website! Do you feel like your website is delivering all it can? Driven by the demands of consumer behaviour and online competition, are you able to stand out amongst the crowd? If you’ve been feeling like you’re lagging behind on your web presence, tprmedia’s team of savvy Magento developers (based in Brisbane, Melbourne and across Australia) are well-versed in turning heads. Offering a full suite of solutions that are driven by our passion for attractive, powerful designs, we help our clients create intelligent shopfronts that rework how they do business. With the ecommerce boom in full swing, platforms that allow online businesses to streamline their operations and conversions are paramount. 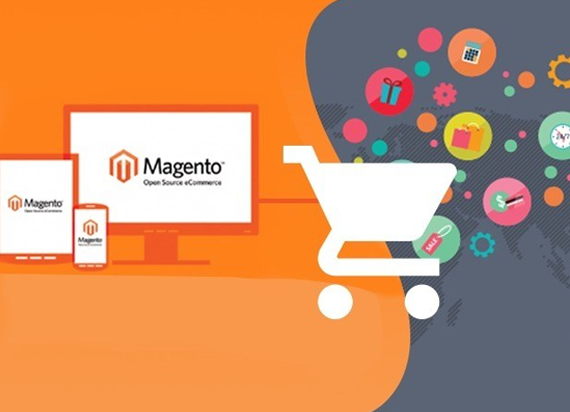 Backed by the ability to offer a dynamic user experience and comprehensive functions to the seller, Magento’s capabilities are well-received globally. Enjoy intuitive designs that are mobile-responsive, able to convert and reflect your business in a manner that outweighs many other competitor platforms. Top it all off with a lineup of custom Shopify web developers from our team, and you’ve got an end-to-end solution that won’t disappoint. Think about making the move to a custom Magento website? There’s plenty of reasons to jump ship from other platforms to this one, and we’re not going to deny it’s worth it. 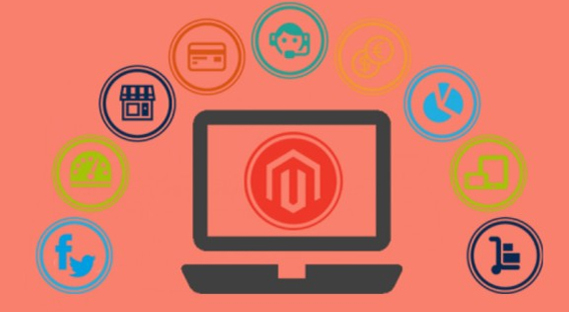 With its plethora of functions and features, Magento has an extensive list of capabilities for sellers to enjoy – a must in today’s complicated online landscape. Personalise your shopfront : Equipped with our custom Magento developers throughout Melbourne, Brisbane and Australia, you can turn your average online store into a powerful selling machine. Completely tailored to suit your brand and its values, we’ll craft you a platform that mirrors who you are as a business. Adapt and scale : As your business grows, so too can Magento. Remove unnecessary products, manage inventories and edit stock as you go – all through a seamless, simple interface. Utilise the mobile market : Having a website that caters to cross-device capabilities is a must. Allow your visitors to access your website from any device, at any time, with Magento’s mobile-friendly functionalities. Support SEO : One of the best benefits of Magento is its ability to support SEO solutions. Offering mobile-friendly experiences and flawless URL and meta data structures, this platform is great for those looking to complement rankings. Fast load times : There’s no need for your visitors to wait eagerly for your site to load. This platform’s got it covered with rapid server speeds. Secure orders : Customers can enjoy best-in-class security with options that give you full transaction records, histories of changes across your site and other critical information. Perfect for keeping an eye across your entire store. Stand out : Impress your customers with a long list of features that ‘wow the crowd’. Enjoy more conversions from a user experience that’s unmatched by other platforms. Support when you need it : If you’re having hiccups, your business can access ongoing support from our team of Magento developers. Win-win. Enjoy integrations : Tie in third-party integrations that allow you to further power up your business. From customisable features to full-suite functions – there’s plenty of ways to enjoy this platform. Top it all off with the help of our custom Magento developers and you’ve well on the path to landing a great first impression. Why choose tprmedia as your Magento developer? It’s simple – we’re good at what we do, and we love doing it. Our strengths lie in the fact that we’re a web agency that understands the importance of a sleek, user-friendly website. But beyond that, we pay close attention to detail to ensure the best possible result. After increased traffic? We’ll get it. Looking for an increase in ROI? No worries. Our experience as custom Magento developers means we’ve helped businesses all across Melbourne, Brisbane and wider Australia to achieve success in all shapes and forms. To top it all off, we love a challenge. So what have you got for us? Turn your vision into a reality with dedicated Magento developers who know the space inside out. We understand that each business is different, so each and every one of our projects are custom tailored to reflect that. With your individual values, style and preferences in mind, we craft shopfronts that look the part of your brand, not just support it. From the initial discussion, we’ll guide you through the process and what’s involved, along with each phase of work and the expected outcome. If you’ve got a budget, we’ll help you meet it – we’re here to help, not hinder your business. 1800 896 599 for a no-obligation about your needs and objectives.